Our prayers are with the victims. The last movie at Belmont was a huge success. Many of us are trying to be not-like-Sugunan! Veruthe Oru Bharya was screened in front of a huge and appreciating audience. The audience were forgiving and patient through the ‘technical difficulties’ which popped up in the beginning of the show. Now it’s the turn of Madambi to grace the Belmont theater. Madambi gave a huge boost to Mohanlal’s career. This movie was a huge hit in Kerala and the song ‘Amma Mazhakkarinu’ became a chart topper. And one of the last movies of Kavya Madhavan, before she becomes a NRI wife! Mammootty’s Parunthu was released at the same time as Madambi and both these movies had similar story line. Madambi was the winner of that contest. Madambi will be screened on Saturday, Nov 29, 4 pm at Studio Cinema Belmont 376 Trapelo RD, Belmont. This is hilarious, especially if you follow Indian politics. 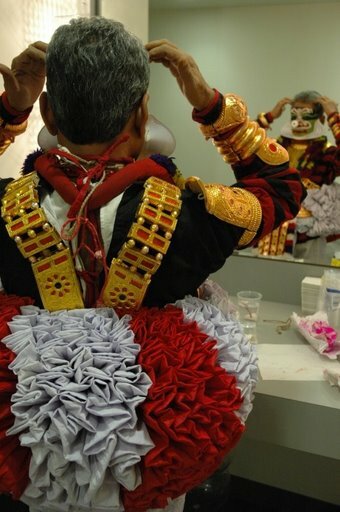 NEMA along with Peabody Essex Museum is presenting the ancient art form of Koodiyattom on Nov 14th. Please click here for details. 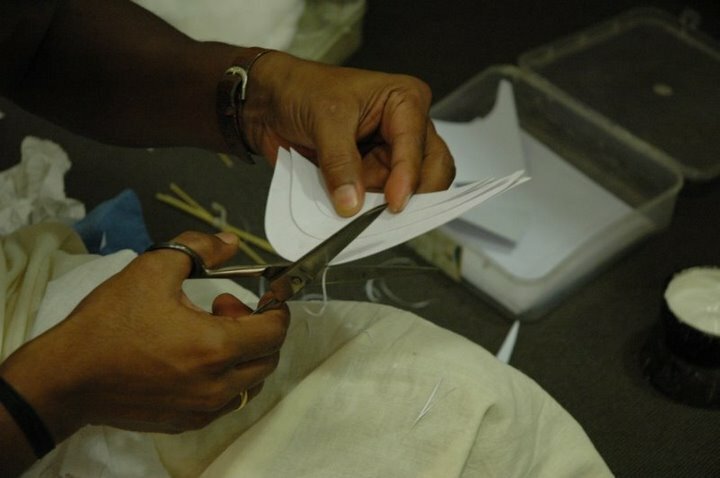 Here’s some interesting factoids about this ancient art form. Performed in the Sanskrit language in Hindu temples, it is believed to be 2000 years old. It is officially recognized by UNESCO as a Masterpiece of the Oral and Intangible Heritage of Humanity. 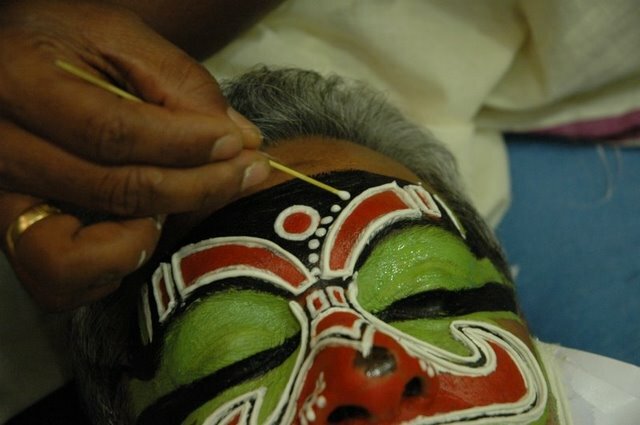 Koodiyattam [kutiyattam], meaning ‘combined acting’ signifies Sanskrit drama presented in the traditional style in temple theatres of Kerala and is the only surviving specimen of the ancient Sanskrit theatre. Kutiyattam is an amalgam of the classical Sanskrit theater of ancient India and the regional theatre of Kerala. 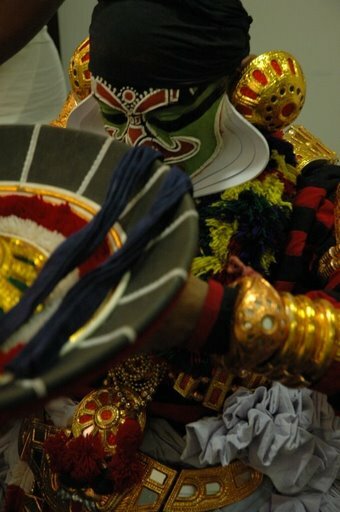 The main musical instruments used in Koodiyattam are Mizhavu, Kuzhitalam, Etakka, Kurumkuzhal and Sankhu. 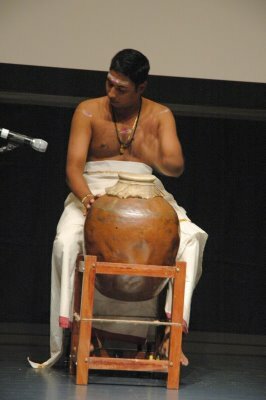 Mizhavu, the most prominent of these, is a percussion instrument. 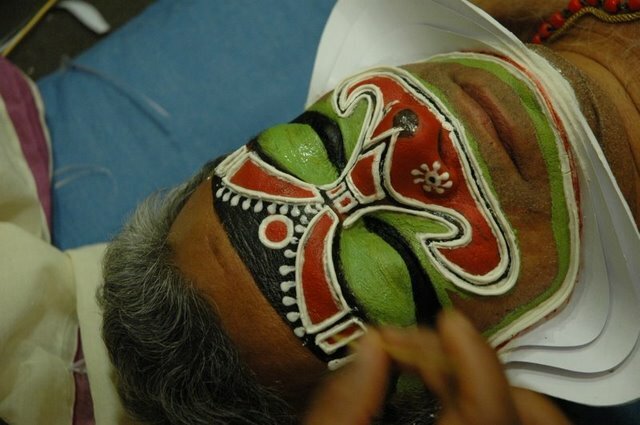 Traditionally, Koodiyattam has been performed by Chakyars (a subcaste of Kerala Hindus) and by Nangyaramma . The name Koodiyattam (meaning “playing together”) suggests a combined performance of Chakyar and Nangyar. 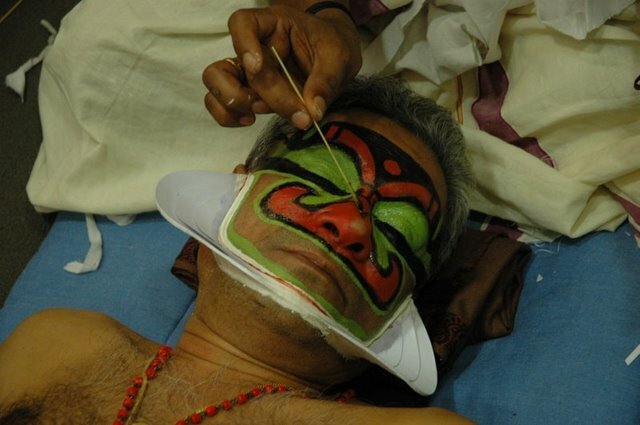 In 1962, under the leadership of Dr. V. Raghavan, noted art and Sanskrit scholar; Sanskrit Ranga of Madras, invited Guru Mani Madhava Chakyar to perform Kutiyattam in Chennai. Thus for the first time in the history Kutiyattam was performed outside Kerala. 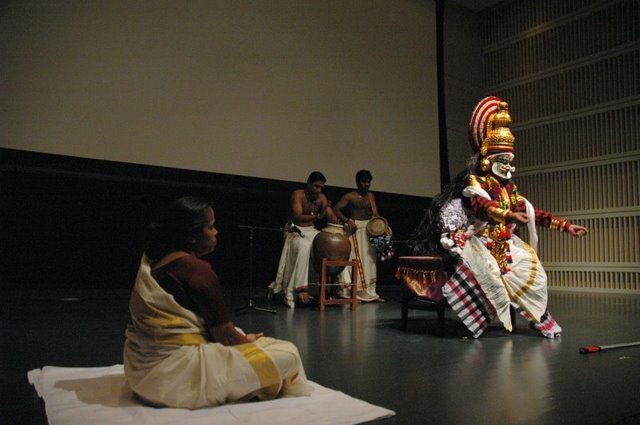 Complicated gesture language, chanting, exaggerated expressions of the face and eyes, together with elaborate headdresses and makeup constitute a Kutiyattam play. 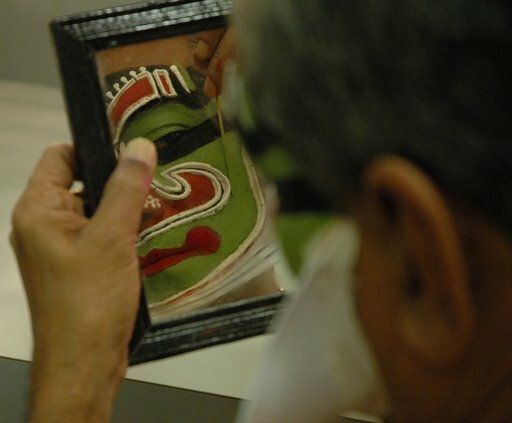 The art is kept alive through the efforts of Vaddakkumnathan Temple in Trichur and the Irinjalaganda Koodalmanikyam Temple, both of which schedule at least one annual performance. Kutiyattam’s legacy to world theater is in architectural terms: permanent theater structures. 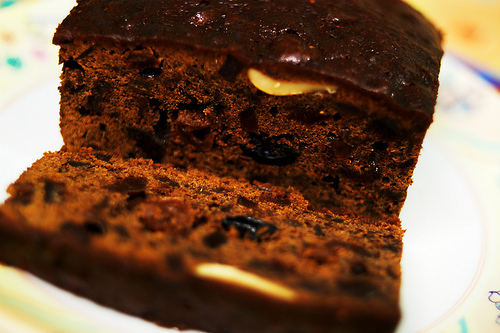 These are known in Kerala as kuthampalam.